Colby and I both have a love of abandoned places and when we discussed where she wanted to do her bridal session, we decided to go for the haunting beauty of abandoned Charlotte, NC. We wandered up and down Independence Boulevard stopping at any location that was stripped down, abandoned, or boarded up. This stripped out utility box was all I was hoping for and more for a dark fairy tale scene. Shot in bright sunlight with a Neutral Density filter on a 24-70 at f/2.8. My assistant Evin was lighting Colby with the spotlight to separate her from the scene. Edited (but ya know, truly edited) in Lightroom. No photoshop was involved on this lovely. Location: 2801-03 East Independence Blvd, Charlotte, NC 28205. 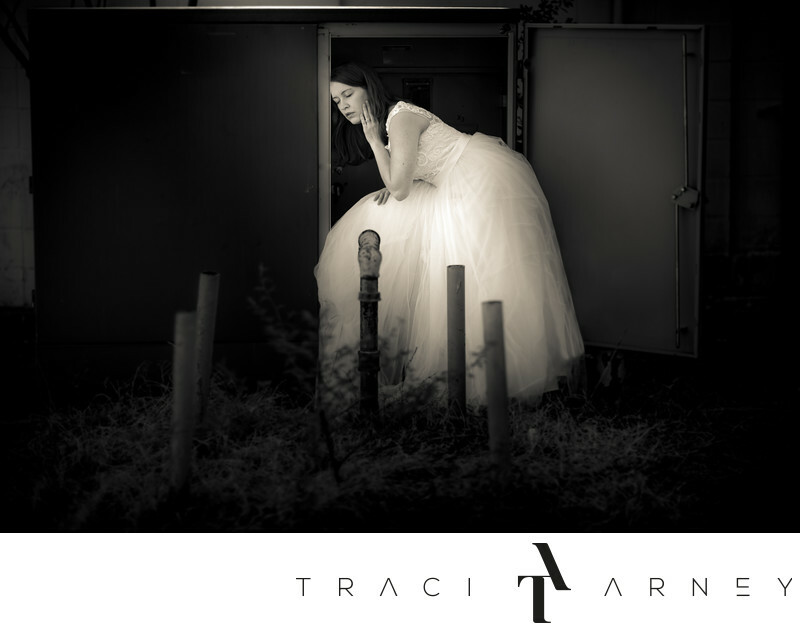 Keywords: Abandoned Building (9), Black and White (135), Bridal Session (210), Charlotte (72), Colby (30), NC (636). 1/1250; f/1.2; ISO 50; 85.0 mm.